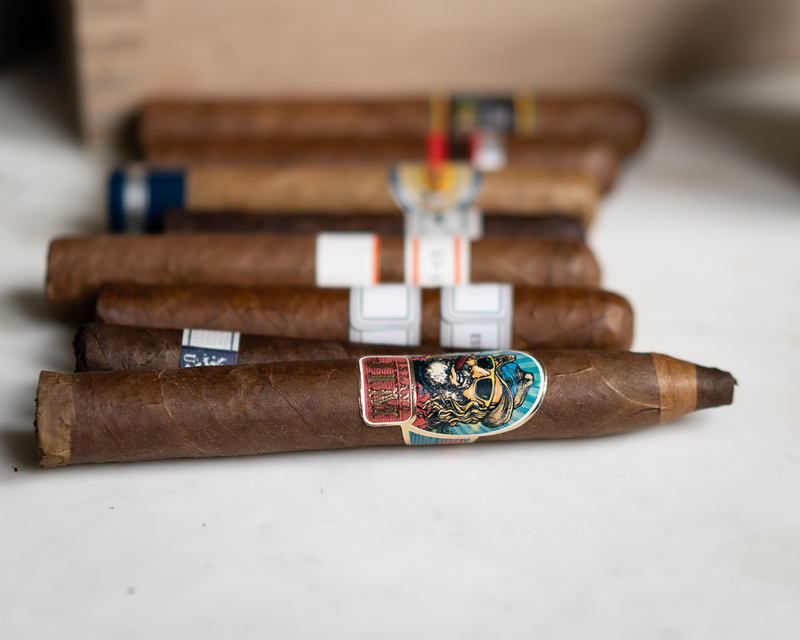 Oscar Valladares has crafted some fine cigars under his own brands along with his premium LEAF by Oscar line. I have been fortunate enough to smoke several of his blends and have always found them unique and enjoyable. The Island Jim by Oscar #2 Torpedo is a blend created for a tobacco retailer Jim Robinson. There is only the #2 torpedo vitola with multicolored pieces to the wrapper in a purposeful attempt to make it look like a pencil. It’s a bright banded, loud looking cigar to say the least, and I was interested to see how the flavors compared to his other lines. The Island Jim #2 is a veiny, rustic cigar with a slightly dark wrapper along with a lighter claro piece just under the tip. It’s also flared at the foot. it has a bold looking band displaying “Island Jim” with yellow sunglasses and a Panama Jack hat. Island Jim sports flowing long hair, a whitish gray beard and a cigar clenched in his teeth. The cigar itself is firm and amply packed with tobacco. The words Island Jim are written underneath in gold lettering with a reddish background. Overall, they certainly the Jimmy Buffet/Tommy Bahama type of look they were going for. The tip of the Island Jim is left open to smoke, and lighting it up shows a sugary sweet start with some grit. The claro piece gives way to pencil lead with a candied finish. As the burn heads to the darker portion of the wrapper, toast and cedar interplay. The draw is a little tight as the preclipped tip is pretty small. Midway through Island Jim #2, I use a straight cut to open up the draw a bit. This helped somewhat, but the roll on this torpedo is tight. The second half delivers graphite, earth and a creamy finish. Construction wise, the cigar has a sharp burn with a dark gray ash. As the draw finally opens up, mint and cocoa emerge, changing the cigars profile completely. An interesting if unusual direction in flavor. The final third of the Island Jim torpedo brings with it cherry wood and cedar. As the cigar slowly burns, there’s a flintiness, mint, and more pencil lead. On the palate, there’s more balsa wood than anything else that coats the mouth. The finish is salty and gritty, with a fuller body during the final few puffs. Having no prior knowledge of the blend only knowing the various cigars Oscar has produced, I found the Island Jim all over the place in terms of flavors. Despite the fact the flavors were changing, I wouldn’t call it complex as I didn’t feel the tastes were harmonious. I can’t say anything was off putting or that there’s a lack of quality tobacco. I just felt the flavor profile didn’t work together to make it particularly appealing. 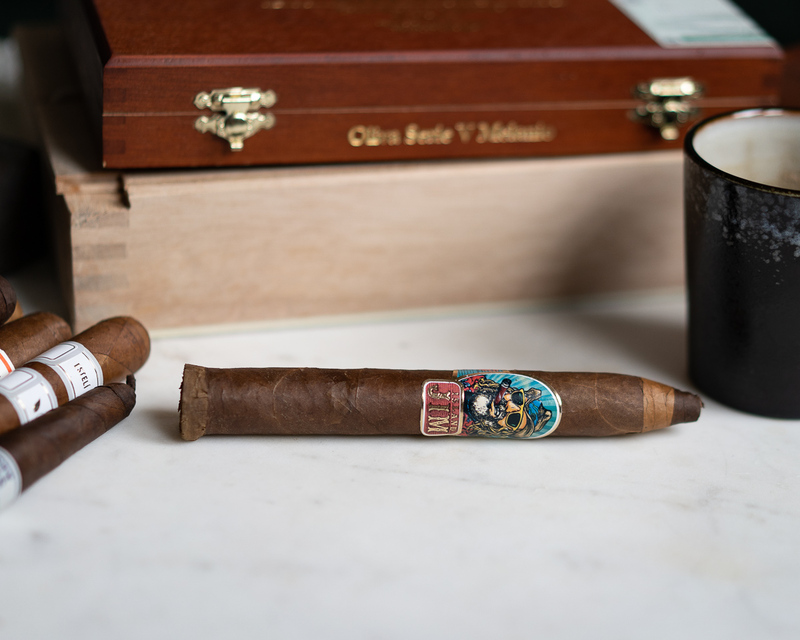 It seems more time was spent on the concept of the cigar then working on the blend itself. 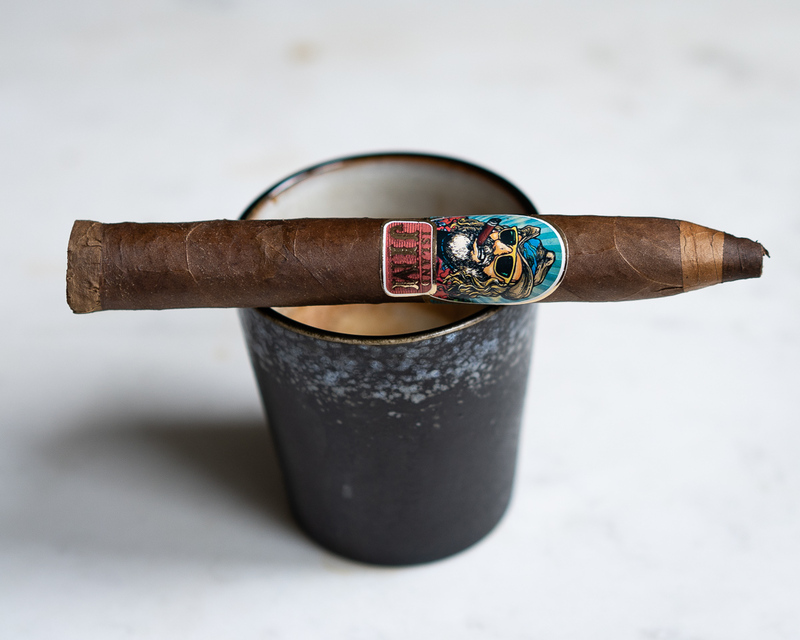 The Island Jim torpedo #2 Leaf by Oscar is novel in its approach and a well-constructed cigar, but I feel Oscar has more interesting blends out there to be had.